Lets talk completely underrated brands for a second. Zoeva, where do I even start? I first discovered Zoeva two years ago when I was looking for new, affordable makeup brushes as a Christmas present; I was immediately overwhelmed by the beauty and apparent great quality of the brushes I saw, and then I saw the price point - literally, my jaw dropped if I remember correctly. Now, back then eye brushes retailed for about £4 and face brushes around £8, give or take. As the company has gained popularity though, the prices have rised a little but are still totally affordable and not to mention - bloody beautiful. I recently reached out to Zoeva and we got to talking collaboration and they offered to send me a couple of products of my choice. 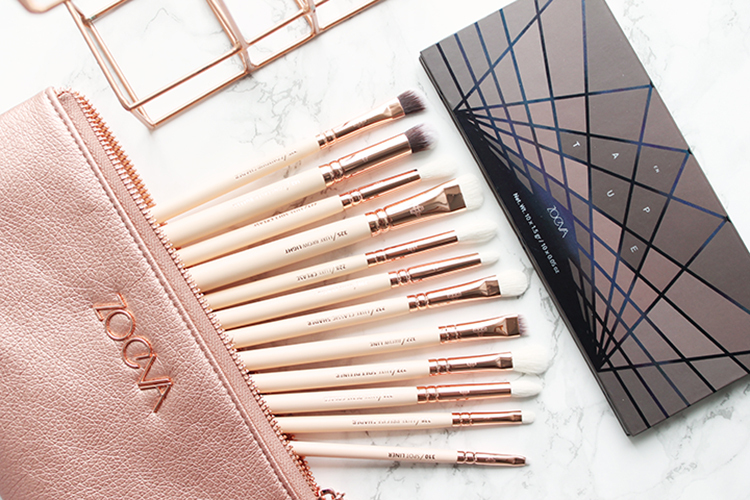 It's no surprise that I immediately fell for their rose gold eye set; the brushes have that weighty feeling that fab quality brushes tend to have, they feel like Mac but for a fraction of the price. This kit is 100% something I would've loved when I started out in makeup, it has every brush you could ever need to create a poppin' eye look. The lovely ladies at Zoeva also were kind enough to send me their 'En Taupe' palette, this has the perfect blend of neutral and colourful put together in a collection of muted, wearable shadows. I haven't tried these on my eyes as of yet but after swatching, it's looking very promising. Have you tried any products from Zoeva? What're your favourite brands of brushes? 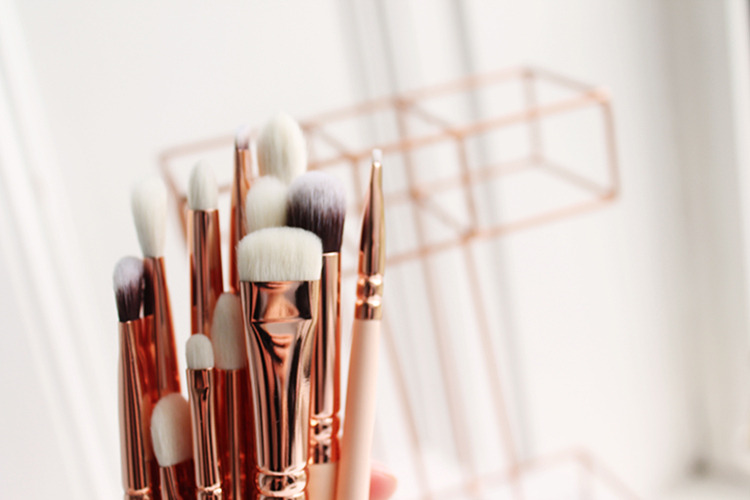 I need to get the face set of these rose gold beauties, they're honestly almost too pretty to use! They really are. 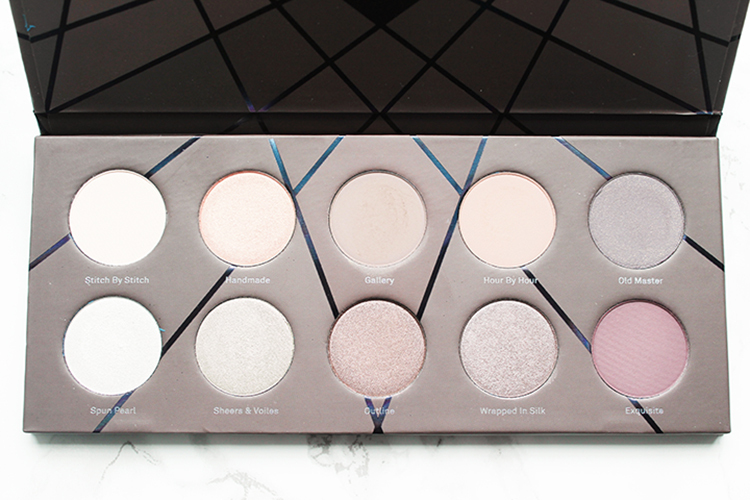 You should definitely try the palette if you can get your hands on it! What're you waiting for?! Try them girl! I'm such a big fan of Zoey's and currently lusting after the en taupe palette as the shades are so stunning! 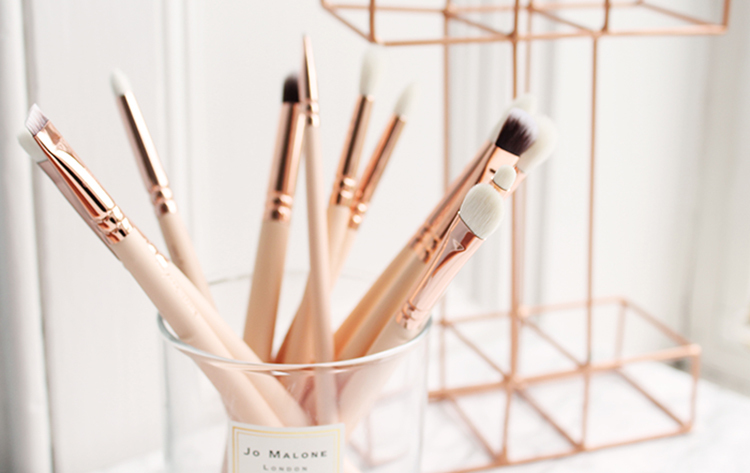 I really want to try the eye brush set as I love their original rose gold brush set - fab post lovely!